"Engineer Vice-Admiral Sir JOHN KINGCOME, K.C.B., will be remembered as the last officer who entered the Navy as an engineer student to rise to the rank of engineer vice-admiral and to be appointed Engineer-in-Chief of the Fleet. Born on 20th April 1890 in India, he entered the Royal Naval Engineering College, Keyham, in 1905, having been educated at Plymouth Grammar School. On completion of his studies at Keyham in 1909 he was selected for the advanced engineering course at the Royal Naval College, Greenwich. He successfully completed this course in 1911. He was promoted to engineer sub-lieutenant in July 1909, and to engineer lieutenant in 1911. On proceeding to sea on completion of his professional studies, he served as a junior engineer officer in H.M. Ships Temeraire, Phaeton, and Commonwealth both before and during the 1914-18 war, and was present at the Battle of Jutland. In 1918 he was selected to serve on the Board of Invention and Research. On the lapse of this appointment in 1919 he was appointed to the staff of the Royal Naval College, Greenwich, where he served for four years, having been promoted to engineer lieutenant-commander in 1918. He was then appointed as senior engineer HMS Hawkins on the China Station, being promoted engineer commander in the summer of 1924. With this promotion he began his long and almost continuous association with the Engineer-in-Chief's Department, Admiralty. He served as engineer officer and squadron engineer officer on HMS London from 1928 to 1931 and on being relieved was reappointed to the Admiralty in his old department. He was promoted to engineer captain in 1935 becoming assistant engineer-in-chief in the following year. During the years between the two world wars he was associated with much of the design of the propelling machinery fitted to H.M. Ships, and in particular with that of the ships built under the rearmament programmes approved immediately prior to the 1939-45 war. In July 1939 he was appointed fleet engineer officer on the staff of Sir Charles Forbes, Commander-in-Chief, Home Fleet. Many difficult technical problems required immediate solution during the first few months of the war when the Fleet was kept at sea almost continuously. These difficulties became no easier during the Norwegian campaign in the spring of 1940. A large measure of responsibility for the immediate readiness and maintenance of the principal Fleet fell on John Kingcome's shoulders. For these services he was mentioned in Dispatches in 1940. He was relieved in December 1940 and returned to the Engineer-in-Chief's Department, then evacuated to Bath, being appointed Deputy Engineer-in-Chief in 1942 having been previously promoted to the rank of engineer rear-admiral in 1941. In January 1945 he was promoted engineer vice-admiral and appointed Engineer-in-Chief of the Fleet. He retired early in 1947. He had to contend with many difficulties caused by the aftermath of war during his tenure of office as Engineer-in-Chief, and there is little doubt that he felt keenly the fact that nearly all his contemporaries and personal friends had retired before him. His well-considered judgement and pleasant manner enabled him to surmount these difficulties and he retired with the high esteem of the senior officers of the Admiralty and the affection of the many officers who served under him in his department and in the Fleet. On retiring from the Navy he joined the South Western Electrical Board and continued to live at Bath. He was also appointed visitor to the British Shipbuilding Research Association and to Pametrada on behalf of the Director of Scientific and Industrial Research. Sir John Kingcome was created a C.B. in 1943 and a K.C.B. in 1946. He became a Member of the Institution in 1944 and was a Member of Council in 1945 and 1946. 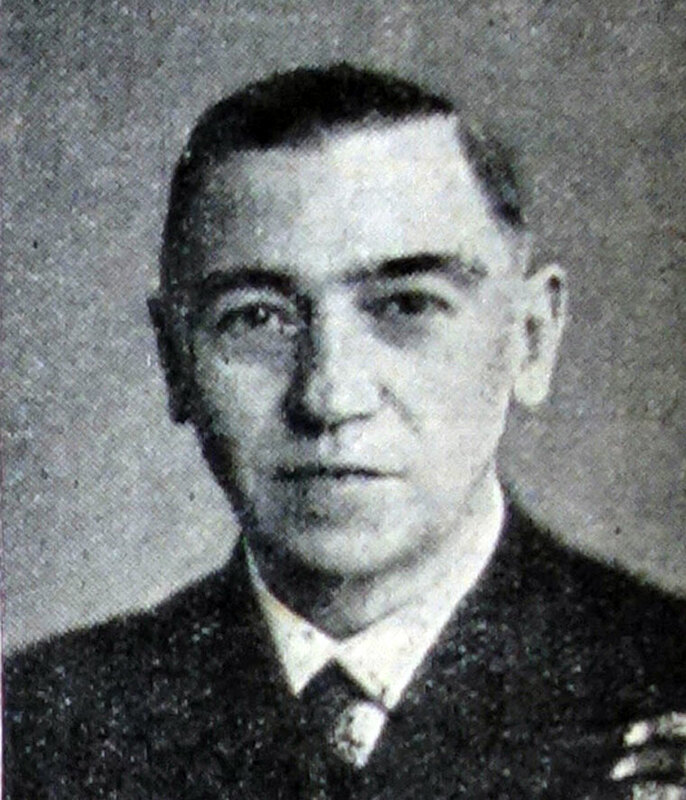 He will also be remembered for the services which he rendered as a member of the Western Branch Committee from 1949 until the time of his death; for his work on the Membership Committee, and for the Thomas Lowe Gray lecture which he delivered in 1949 on "Marine Engineering in the Royal Navy". Sir John Kingcome was a Member of the Institution of Naval Architects and a Member of the Institute of Marine Engineers. He died suddenly on 15th July 1950 after a short illness. Via-Admiral (E.) Sir Denys Ford, K.C.B., C.B.E., M.I.Mech.E. This page was last edited on 2 September 2015, at 08:19.